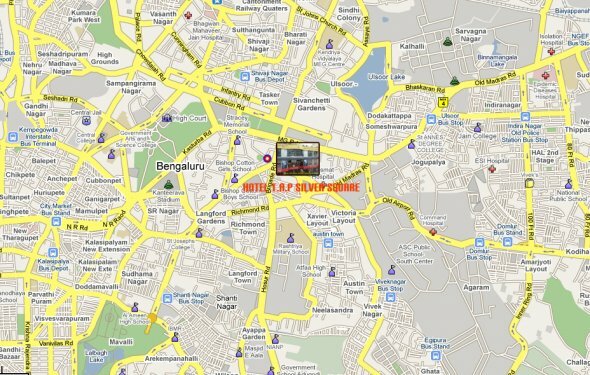 Hotel Grand Bee is a 3 star property, which lies approximately 7.4 km away from Bangalore City Junction Railway Station. The hotel features 48 aesthetically designed and comfortable rooms equipped with modern conveniences. In-room amenities include cable TV, Wi-Fi, mini bar, tea/coffee maker, electronic safe and telephone. Prominent spots close to the hotel include Bangalore International Exhibition Centre (12 km), Bangalore International Airport Limited (32 km), Peenya Industrial Area (5 km), Columbia Asia Hospital (1 km), Brigade Gateway (1 km), Orion Mall (1 km) and NH-4 leading to Mumbai and Goa is parallel to the hotel. This makes it suitable for leisure and business travellers. Guests can make use of the two on-site conference halls- Beehive and Nectar to hold business meetings and social events. Doctor on call, parking, travel desk and laundry are other on-site facilities. Hotel Grand Bee multi-cuisine restaurant- Makaranda serves mouth-watering regional and international dishes. To sip wines, cocktails and other spirits in a cosy ambience, step in Madhura- the stylish on-site bar.